Queensland doctors are issuing Aussie fans and footballers heading to Brazil for the 2014 FIFA World Cup with a ‘yellow card for yellow fever’. Queensland travel health pioneer, Dr Deborah Mills, aka ‘Dr Deb’, Brisbane, is joining forces today (Thursday, April 17) with the Australian medical football team, the Docceroos, to warn Aussie travellers of the health risks associated with the potentially life-threatening mosquito-borne disease. 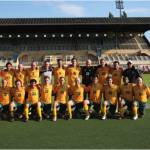 According to Dr Deb, travel doctor and spokesperson for the Travel Medicine Alliance, the Docceroos, who will be joining their professional football counterparts in Brazil this year to play their own international tournament coinciding with the official 2014 FIFA World Cup, are subject to the same regulations as all travellers. “Today we are reminding all Australians planning to visit Brazil, to ensure they have their yellow fever vaccination well before heading overseas. “Aussies planning to attend mass events like the World Cup will also be exposing themselves to a range of health risks which should be discussed with a travel health doctor at least six-to-eight weeks before departure, to ensure sufficient time for any necessary vaccinations,” Dr Deb said. “The number of reported deaths from yellow fever among travellers during the past decade has increased, and this figure may increase without yellow fever vaccination,” 10,11 said Dr Deb. All Docceroos team members will be vaccinated against yellow fever this month. “Once a traveller gets infected with yellow fever, not only are they at risk of severe illness and even death, but they can be a carrier and potentially transmit the disease within Australia. “For the Docceroos, football provides a welcome break from seeing up to 30 patients a day and allows us to indulge our frustrated inner sportsman,” Dr Jones said. 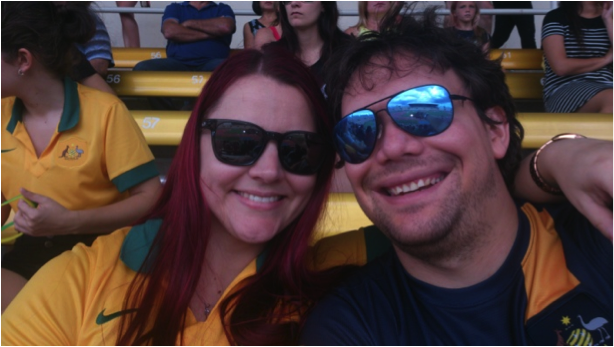 Public servant Leah, 29 and technical officer Mark, 28, Brisbane, both avid soccer fans, are planning to spend five weeks travelling around Brazil for the 2014 FIFA World Cup. The couple will visit regions such as Iguacu Falls, Sao Paulo, Cuiaba, Porto Alegre, Curitiba, Florianopolis, Fortaleza, Salvador and finally Rio de Janeiro, many of which are considered ‘high-risk’ for yellow fever, according to the Brazil Ministry of Health. Both Leah and Mark have visited Dr Deb’s Travel Medicine Clinic in Brisbane for vaccination against the virus two months before their departure. “Although I don’t know much about yellow fever, the fact that the vaccination is compulsory in countries such as Brazil screams, ‘This is serious’”, said Leah. 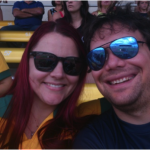 “This is our first FIFA World Cup and we’re huge soccer fans, so we’re really excited! “Being protected against yellow fever will provide us with peace of mind, allowing us to really enjoy our trip,” Leah said. Along with yellow fever vaccination, other routine vaccinations that should be up to date include Measles, Mumps, Rubella (MMR), and also hepatitis A and B, typhoid and rabies, depending on travel itinerary and individual behaviour. “Vaccination is the most important preventative measure against yellow fever1 and other diseases common within many parts of Brazil,”Dr Deb said. To make an appointment for Yellow Fever vaccination, call in Brisbane 07 3221 9066 or Australia wide 1300 42 11 42. Yellow fever is a potentially fatal disease caused by a virus that is transmitted by the Aedes aegypti species of biting mosquitoes and can also be passed on to mosquito offspring by infected eggs.1 Yellow fever is prevalent throughout much of America and sub-Saharan Africa, and draws its name from serious cases in which the skin turns yellow. No specific treatments have been found to benefit patients with yellow fever. The only treatment is symptomatic. Rest, fluids and use of analgesics and antipyretics may relieve symptoms of fever and aching. Aspirin and non-steroidal anti-inflammatory drugs should not be used, as they may increase the risk of bleeding. Dr Deb Mills is one of Australia’s leading travel healthcare professionals, having worked in this highly specialised field for 25 years. She has become fondly and widely known as ‘Dr Deb, the Travel Doctor’ through her years of educating Australians about the importance of travel health. Dr Deb is the author of Travelling Well, which is regarded as the healthcare bible for Australian travellers venturing overseas. She is also a strong and regular contributor to various local and international charities and regularly provides assistance to various medical and international organisations working to make the world a better place. The Docceroos are a group of enthusiastic footballers comprising medical practitioners of varying specialties and origin. 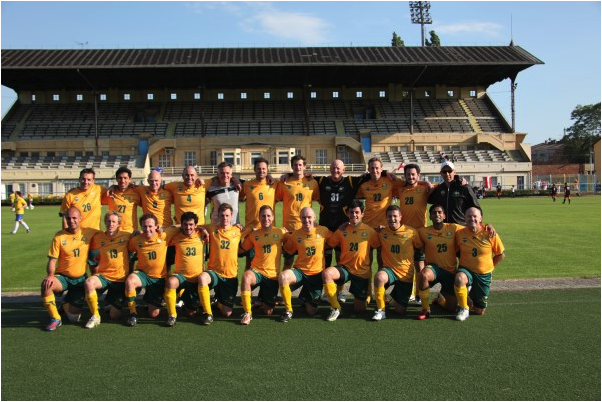 There are currently two fielded Docceroos teams, the traditional 11-a-side team and the new seven-a-side, over 45s team, which compete in the World Medical Football Championships, hosted in a different country every year. The Docceroos were founded in 2003 by Dr Alan Jones. Department of Foreign Affairs and Trade. 2014 FIFA World Cup in Brazil. Australian Government, Canberra, 2014. http://www.who.int/mediacentre/factsheets/fs100/en/ [last accessed April 15, 2014]. Gardner CL, Ryman KD. 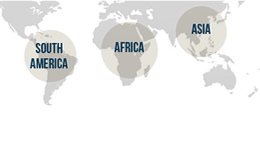 Yellow fever: a reemerging threat. Clin Lab Med. Mar 2010;30 (1):237-60. Vasconcelos PF (2010) Yellow fever in Brazil: thoughts and hypotheses on the emergence in previously free areas. Rev Saude Publica 44: 1144–1149. Cardoso JC, Almeida MAB, Santos E, Fonseca DF, Sallum MAM, et al. (2010) Yellow fever virus in Haemagogus leucocelaenus and Aedes serratus mosquitoes, southern Brazil, 2008. Emerg Infect Dis 16: 1918–1924. Carmo E, Martins E, Pelucci H, Maia M, Duzzi R, et al. (2002) Brote de fiebre amarilla selvática en Minas Gerais. Boletín Informativo PAI Organización Pan-Americana de Salud 24: 5–6. de Souza RP, Foster PG, Sallum MA, Coimbra TL, Maeda AY, et al. (2010) Detection of a new yellow fever virus lineage within the South American genotype I in Brazil. J Med Virol 82: 175–185. Vasconcelos PF, Costa ZG, Travassos Da Rosa ES, Luna E, Rodrigues SG, et al. (2001) Epidemic of jungle yellow fever in Brazil, 2000: implications of climatic alterations in disease spread. J Med Virol 65: 598–604. Wilson ME, Chen LH, Han, PV, Keystone JS, Cramer JP, Segurado A, Hale D, Jensenius M, Schwartz E, von Sonnenburg F, Leder K. Illness in Returned Travelers from Brazil: The Geosentinel Experience and Implications for the 2014 FIFA World Cup and the 2016 Summer Olympics. Clinical Infectious Diseases. 2014;58(8):1-10. Romano APM, Ramos DG, Araújo FAA, Siqueira GAM, Ribeiro MPD, et al. Febre amarela no Brasil: recommendações para vigilância, prevenção e controle. Epidemiol Serv Saúde. 2011; 20:101-106. Camara FP, de Carvalho LM, Gomes ALB. Demographic profile of sylvatic yellow fever in Brazil from 1973 to 2008. Trans R Soc Trop Med Hyg. 2013; 107:324-327. Cennimo, DJ, Shoff, WH, Hinfey, PB, Behrman AJ, et al. Pediatric Yellow Fever. March 31, 2014. Massad E, Burattini MN, Coutinho FA, Lopez LF (2003) Dengue and the risk of urban yellow fever reintroduction in Sao Paulo State, Brazil. Rev Saude Publica 37: 477–484. Massad E, Coutinho FA, Burattini MN, Lopez LF (2001). The risk of yellow fever in a dengue-infested area. Trans R Soc Trop Med Hyg 95: 370–374. World Health Organization (2008) Outbreak news. Yellow fever, Paraguay. Wkly Epidemiol Rec 83: 105. Department of Health. Yellow fever – general fact sheet. Will I be allowed to enter Australia, if I do not have a yellow fever vaccination certificate?. Australian Government, Canberra, 2014. http://www.health.gov.au/yellowfever#12 [last accessed April 15, 2014]. Department of Health. Yellow fever – general fact sheet. Australia’s yellow fever declared places (from 1 November 2012). Australian Government, Canberra, 2014. http://www.health.gov.au/yellowfever#7 [last accessed April 15, 2014].